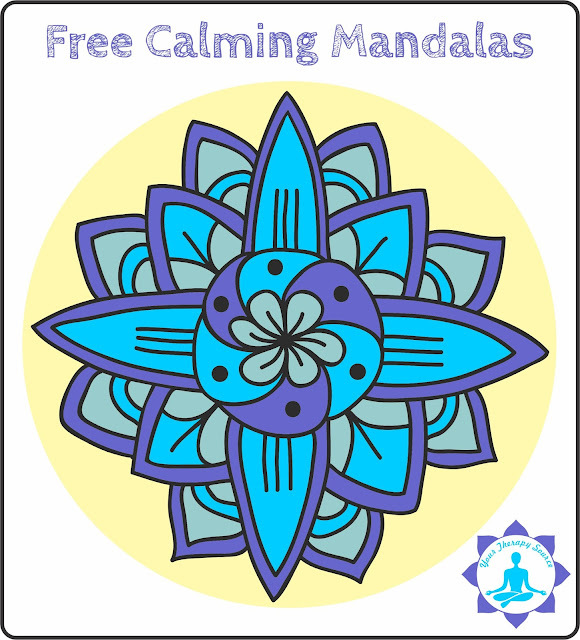 You are here: Home / Blog / #pediOT / 3 Simple Mandalas to Color to Help Relieve Stress – Free! 3 Simple Mandalas to Color to Help Relieve Stress – Free! Mandala means “circle” or “center.” Coloring mandalas can help to encourage relaxation, relieve stress, facilitate creativity and balance the body. Here are three simple mandalas to color to help to calm the body. They are perfect to add to a quiet corner or calm down kit in the classroom. 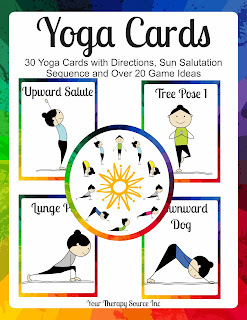 Check out Yoga Cards at http://yourtherapysource.com/yogacards.html for more activities to calm the body.